If you are an NDP Supporter, this picture should bother you. 1) It shows many that the NDP has a real lack of knowledge of economy. 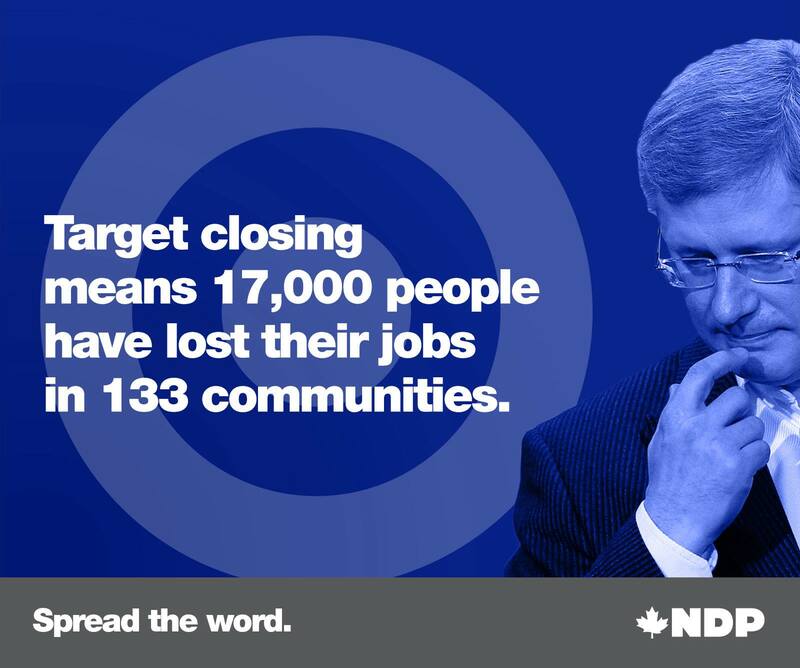 Harper had nothing to do with the failings of Target. As has been discussed by many, the reason Target is closing is Target. 2) Target is an American company that you expressed concern coming into Canada. 3) Your position is to treat workers fairly. What is interesting is while you are talking about the employees of Target, there have been thousands of people laid off from oil companies that you have said NOTHING about. The perception is this. While you think you are coming across as standing for”little person” and “equal rights” it would seem to me that you are standing up for the “trendy”. Causes that is what you think you will get attention for. This picture backfired. Big Time. It reminded many why they do not want you anywhere near from governing. Click this link for part 3 of our series of conversations around Gay Straight Alliances. We heard from people who had some concerns about GSA’s. If you missed that, click here. It was with Jojo Ruba, Derek Fildebrandt, Terry Lo and Jeff Wilson. 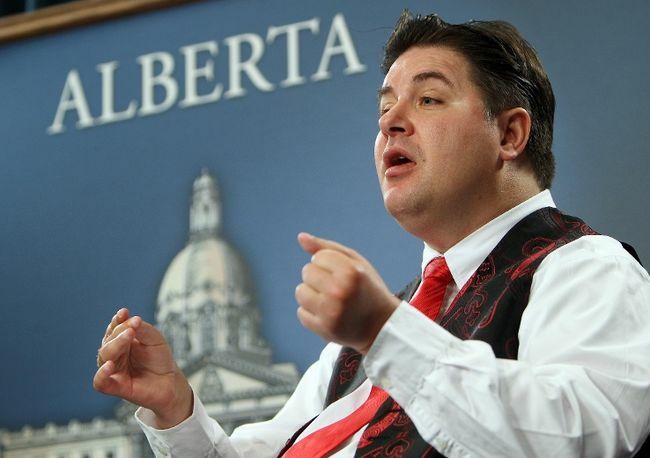 The second was with Kent Hehr. If you missed that, click the link here. This perspective is from a High School student named Caprice and her mother Diane. Caprice is in Grade 10. She is slowly opening up about who she is and her mom is there to support her. We also heard from Kelly Hofer. If you haven’t heard his story, we touch on it briefly here. He is a Hutterite who, once he came out, cannot go back to his colony to be with his friends and family there. He has started a support group which he will talk about as well. Kelly couldn’t stay with us the whole time, but we did appreciate his perspective. If you wish to listen to his interview, listen to it here. Oh, and Terry Lo is with us as well. Kelly’s perspective on GSA’s and the concerns from the religious community. Diane’s experience dealing with teachers and principles in schools. A response to the parental concern argument. Terry walks through how feasible Bill 10 would work with Caprice. And the logic behind it.